Eurofound strives to strengthen the ongoing link between its own work and national policy debates and priorities related to the quality of life and work. Increasingly important in this context is the Europe 2020 growth and jobs strategy launched in 2010, which has five headline targets, covering employment through to social inclusion and poverty reduction. The strategy is implemented in the context of the European Semester process – the EU's annual cycle of economic policy guidance and surveillance – which ensures that Member States keep their budgetary and economic policies in line with their EU commitments through, in part, National Reform Programmes. These programmes form the basis for the European Commission's proposals for country-specific recommendations (CSRs) for each Member State. Working life in Belgium - key characteristic of working life across a range of parameters. Respondents in Belgium are more optimistic about their own future (62% are optimistic), compared to their children’s or grandchildren’s future (46%) in 2016. The respective EU28 averages were 64% (own future) and 57% (children’s or grandchildren’s future), indicating that Belgians tend to be more pessimistic about the future than the average European. The share of respondents reporting difficulties in making ends meet has decreased 5 percentage points since the 2011 survey, now at 37% (close to the EU28 average of 39%). However, this figure is still higher than before the financial crisis (28% in 2003 and 33% in 2007). Besides these findings, the quality of life indicators have remained fairly stable in Belgium, and they tend to be close to the EU28 averages. All the work-life balance indicators in Belgium are very close to the respective EU28 averages. The indicators have increased continuously since 2007, indicating deterioration in work-life balance. In general, the gender differences are not large, although women are more likely to be ‘too tired from work to do some of the household jobs which need to be done’. In 2016, 62% of women claimed to be too tired to do household jobs at least several times a month, compared to 53% of men. Trust in people has been continuously decreasing since 2003, standing at 5.3 in Belgium in 2016 and at a similar level to the EU28 average of 5.2 (out of 10). Respondents in Belgium are now more likely to be involved in unpaid voluntary work. Overall, 15% of the respondents report doing voluntary work at least once a month, an increase of 3 percentage points from 2011. Tensions between different racial and ethnic groups have increased 5 percentage points since 2011, now at 54%. This type of tension is now well above the EU28 average (41%) and close to the top ranking country Italy (55%). Tensions between poor and rich increased during the crisis (from 24% in 2007 to 33% in 2011), staying at a similar level in 2016 (34%). Most of the indicators about the quality of public services have remained fairly stable since 2003. The ratings for public services are either close to the EU28 average or slightly better. However, the quality rating for the state pension system has decreased significantly from 6.8 (out of 10) in 2003 to 5.7 in 2016. This profile describes the key characteristics of working life in Belgium. It aims to complement other EurWORK research, by providing the relevant background information on structures, institutions and relevant regulations regarding working life. This includes indicators, data and regulatory systems on the following aspects: actors and institutions, collective and individual employment relations, health and well-being, pay, working time, skills and training, and equality and non-discrimination at work. The profiles are updated annually. The latter part of 2018 was marked by disputes both in working life and in economic and cultural spheres in Belgium. These included the rise of citizens’ protests on climate change, the ‘yellow vest’ (Gilets jaunes) movement in Belgium and debates over the Marrakech pact. The political context in Belgium continued to make it difficult for Belgian social partners to negotiate agreements autonomously and without political interference. Trade unions, in particular, had disputes with the government and its policymaking decisions. The year also saw significant industrial action in companies, including Bpost, NMBS and De Lijn, and in the streets, with national strikes in December and civil servant strikes earlier in the year. The most centrist party in government, the Christian Democratic and Flemish Party (CD&V) – and its Minister of Employment, Economy and Consumers, Kris Peeters – had to continue the balancing act involved in working with both the more right-wing partners in government and an important part of its constituency within the trade union movement and civil society organisations. Somewhat different from previous years, or at least more vocal, was the growing animosity within the government itself, which ultimately led it to its collapse. This event clearly had a significant impact – both direct and indirect – on the outcomes of several important ongoing negotiations and debates. Prime examples were the discussions over the definition of ‘heavy labour’ within the wider debate on pension reforms and those concerning the labour deal. Both had proved challenging from the start but became even harder after the fall of the government. Job creation continued to be a key focus for the government – both the previous one and the one in office by the end of the year. This was clearly exemplified by proposed measures within the labour deal, such as the increased reduction of unemployment benefits, a frequent topic of discussion between the government and the social partners and among academics. The fight against burn-out was another area of working life that featured heavily in the policy of Minister Peeters. Several of the measures proposed in the Workable Work Law in 2017 were implemented or concretised in 2018. The impact of continued economic growth was increasingly evident as well, reflected in the shortage of employees with technical and other sought-after profiles. This was a significant issue that both the government and the social partners tried to solve in different ways over the course of the year. In the same context, the lack of flexibility within the Belgian social dialogue system came under regular criticism by employers, employer associations and some political parties. Especially in relation to e-commerce, night work and seniority pay increases, there remained significant disparities in opinion and ongoing debate between these groups and the trade unions. From 2012 to 2017, Belgium’s GDP increased by 3.6%. For the same period, total unemployment increased by 0.6% reaching 7.8% in 2017 which is slightly higher than the EU average of 7.6% for the same year. Unemployment figures for young people increased by 1.4% in the last five years and stood at 19.3% in 2017, above the EU average of 16.8%. Social dialogue in Belgium is among others rooted in the Law of 5 December 1968 related to collective agreements and joint committees (Loi du 5 décembre 1968 sur les conventions collectives de travail et les commissions paritaires/ Wet van 5 december 1968 bretreffende de collectieve arbeidsovereenkomsten en de paritaire comites ). While the freedom of assembly and association as well the right for information, consultation and negotiation are set out in the Belgian Constitution, the Law of the 5 December 1968 defines the representativeness criteria for trade unions and employers’ organisations (see section on representativeness). Labour law includes any legislation on working time, rights and duties of employers and employees as well as specific measures related to young workers. In recent years and partly due to austerity measures since the crisis, a series of labour regulation reforms have been implemented in the country. These relate to working time flexiblisation (2012, 2016 and 2017), temporary agency work (2013), flexi-jobs in Horeca and small retail (2015, 2017), night work for e-commerce (2015, additional changes in 2017), reforms of early retirement and pensions (2012-2015); career leave system (2015) measures to increase sustainable work (2012-2013) and a change in the probation period (2017). Another major change concerns the introduction of more unified employment status for blue and white-collar workers with respect to their notice periods (Law of 26 December 2013). employer or trade union confederations, regionalisation in the country has led to greater influence for regional players. On the employers’ side, this is particularly the case for VOKA (Vlaams Netwerk voor Ondernemingen) and UWE ( Union Wallonne des Entreprises). On the trade union side, the national structures have remained but internal differences have increased (Arcq, 2010). In 1970, the Belgian State adopted a Federal Structure including regions and communities. This federalisation process strengthened along six major institutional reforms that took place in 1970, 1980, 1988–89, 1993, 2001 and a last reform in 2013. The last institutional reform affected the organisation of the labour market by granting larger power to regions in fields where social partners usually play a major role, such as health and safety or employment policies. 2011–2012 and 2013–2014. The government then unilaterally applied wage moderation. The key point here is the fact that wage-setting has become a key and more conflictual issue in the post-2008 period. Both wage- setting mechanisms and wage levels were central issues in the latest rounds of cross-industry bargaining in the Group or Ten, leading to disputes and to unilateral government intervention. On 2 February 2017, representatives of the national social partners and the National Labour Council agreed the Interprofessional Agreement 2017–2018. The agreement covers the wage norm, improvements in welfare benefits, the extension and adaptation of the agreements on early retirement, and an agenda for further consultation and negotiation. Most importantly the social partners agreed in the IPA to set the wage norm at 1.1% for the period 2017–2018. Representatives from both sides of industry agreed that, in the private sector and over the next two years, wages can increase up to 1.1% above the index that keeps wages in line with the rise in the cost of living. Over the same period, the index top-up is expected to be 2.9%, meaning that people are in line for a total wage increase of up to 4%. This wage norm was transposed by a national collective agreement of the CNT-NAR on 21 March 2017, making the rule binding for all employers and employees in the Belgian private sector. Trade unions, employers’ organisations and public institutions play a key role in the governance of the employment relationship, working conditions and industrial relations structures. They are interlocking parts in a multilevel system of governance that includes the European, national, sectoral, regional (provincial or local) and company levels. This section looks into the main actors and institutions and their role in Belgium. The federal Belgian government is responsible for labour law and social security. The Belgian Federal Public Service Employment, Labour and Social Dialogue (FOW–WASO/SPF–ETCS) is responsible for the federal administrative services on the labour market and the social dialogue, such as regulation of the labour market. The Labour Inspectorate is part of it and supervises the implementation of social law and welfare at work. Allowances, such as unemployment payments or career break premiums, are under the authority of the National Employment Office (RVA/ONE). Following the Sixth State Reform (2011–2012), responsibilities for vocational training, labour market policies for target groups and the majority of job-activating measures for unemployed people have been transferred to the Belgian regions. The responsible public services are the VDAB for the Flemish Region, the Forem for the Walloon Region and Actiris for the Brussels Region. The Labour court is the main institution ensuring the enforcement of employees’ rights. However, mediation can occur within a company depending on the type of dispute. The main institution monitoring and promoting health and safety at work is the High Council for Prevention and Protection at Work ( Conseil supérieur pour la prevention et la protection au travail/Hoge Raad voor Preventie en Bescherming op het Werk ). The Collective Agreements Act of 1968 (modified by the Law of 30 December 2009) lays down the criteria for representativeness, To be representative, a trade union organisation or an employer organisation must have at least 125,000 members; be an inter-occupational organisation (or forming part of an inter-occupational organisation) of workers or employers; and represent an absolute majority of sectors and activities in the private and public sector. CGSLB/ACLVB, as well as their member federations. The main institution monitoring and promoting health and safety at work is the High Council for Prevention and Protection at Work (Conseil supérieur pour la prevention et la protection au travail/Hoge Raad voor Preventie en Bescherming op het Werk). At present, three trade union organisations have representative status:FGTB/ABVV, ACV/CSC and CGSLB/ACLVB, as well as their member federations. All Belgian citizens have the right to be affiliated to a union no matter what their professional status (employees, blue-collar workers, white-collar workers, civil servants, unemployed, retired). Belgian unions cover all workers through many branches organised by sectors, occupations or professional status. In comparison with most other European countries, Belgium has one of the highest trade union density rates, comparable to rates in the Netherlands, Sweden and Denmark. Over the last 10 years, this rate remained quite stable (between 53% and 56%) with a slight growth trend. The three main trade union organisations are: the Confederation of Christian Trade Unions (Confédération des Syndicats Chrétiens/Algemeen Christelijk Vakverbond, CSC/ACV) (1.7 million members); the Belgian General Federation of Labour (Fédération Générale du Travail de Belgique/Algemeen Belgisch Vakverbond, FGTB/ABVV) (1.5 million members); and the Federation of Liberal Trade Unions of Belgium (Centrale Générale des Syndicats Libéraux de Belgique/Algemene Centrale der Liberale Vakbonden van België, CGSLB/ACLVB) (290,000 members). Source: Author’s own reporting from trade unions, including the free union membership of students. The situation has not fundamentally changed in recent years: there have been no new trade unions, no mergers and no changed balance of power. However, following the 2012 social elections organised to measure the representativeness of the trade unions, for the first time the CGSLB/ACLVB reached the threshold of 10%. Every company located in Belgium and self-employed people have the right to join employers’ associations. Like trade unions, employers’ associations have both national and/or sectoral branches. Companies and/or self-employed people are free to join one (or more) of these. According to the main national employer organisation in Belgium (Fédération des Entreprises de Belgique/Verbond van Belgische Ondernemingen, FEB/VBO), they represent 75% of all Belgian companies. However, there is no accurate data on the density of all employers’ associations. Employers’ associations involved in collective bargaining at both national and sectoral levels negotiate for the country or the sector. Consequently, all companies in the country or the sector are covered by the collective agreement regardless of affiliation to an employers’ association or none. * Percentage of employees working in an establishment which is a member of any employer organisation that is involved in collective bargaining. The Belgian Federation of Employers (Fédération des Entreprises de Belgique/Verbond van Belgische Ondernemingen, FEB/VBO) is the main national employer organization in Belgium. FEB/VBO represents 33 sectoral employer federations. In total, it represents 50,000 companies including 25,000 small and medium-sized enterprises (SMEs). Other employer organisations are the Federation of Belgian Farmers (Fédération des Agriculteurs Belges/Belgische Boerenbond, BB), and the Confederation of Social Profit Enterprises (UNISOC), the Flemish Unie van Zelfstandige Ondernemers (UNIZO) and the French-speaking Union des Classes Moyennes (UCM). At regional level, the most important employer organisations are, the Vlaams Netwerk van Ondernemingen (VOKA), the Union wallonne des Entreprises (UWE) and the Brussels Enterprises Commerce and Industry (Beci), besides UNIZO and UCM. Not-for-profit sectors are represented by: VERSO : Vereniging voor social profit ondernemingen; UNIPSO; BCSPO : Brusselse Confederatie van Social-Profit Ondernemingen. Confederation of Social Profit Enterprises (UNISOC). Every two years, the three main trade unions and the employers’ representatives negotiate an Interprofessional Agreement (IPA) defining for the next two years the measures related to the economic and social areas. If no agreement can be reached, the government must step in. Two national bipartite councils, the Central Economic Council (CCE/CRB) and the National Labour Council (CNT/ NAR) have a consultative task towards the government on economic and social issues concerning labour law, employment relationships and social security. Moreover, the social partners are entitled to conclude cross-sectoral agreements within the CNT/NAR. In each of the three Belgian regions, there is an equivalent council: Sociaal Economische Raad van Vlaanderen (SERV);Conseil économique et social de Wallonie (CESW) and Conseil économique et social de la région de Bruxelles capitale/ Economische and Sociale Raad voor het Brussels Hoofstedelijk Gewest. A national tripartite council, the High Council for Prevention and Protection at Work was created to advise the Government on the wellbeing of employees at the workplace. A Works Council (Conseil d’entreprise/ Ondernemingsraad, CE/OR) is set up as soon as the threshold of 100 employees is reached within a company, composed of employee representatives elected at the social elections, and of employer representatives. It has to be summoned at least once a month by the employer on the company’s premises. The CE/OR members are informed by the employer about the company’s financial situation, its productivity and future developments in employment and objectives. Within the CE/OR, the employer has to provide information on substantial planned modifications in the organisation of staff, such as restructuring, a plant closure, a merger or the introduction of a night shift, and on training measures. The Committee for Prevention and Protection at the Workplace (Comité pour la prévention et protection au travail/Comité voor preventie en bescherming op het werk, CPPT/CPBW) is made up of employee representatives elected at the social elections, prevention counsellors and members of the company management who are responsible for health and safety. The committee oversees any issue relating to workers’ health, the working environment and working conditions. A trade union delegation (délégation syndicale/vakbondsafvaardiging) has the right to be present in any company that has the minimum number of workers defined by sectoral collective agreement). The members of the delegation are nominated by their trade unions or elected by staff. The trade union delegation, in contrast to the two other bodies, represents only unionised workers of the company and not the entire staff. The trade union delegation can negotiate collective agreements in the company and intervene in any conflict the staff might have with the employer. Furthermore, the trade union delegation has the right to be informed about any changes in working conditions. When neither a CE/OR nor CPPT/CPBW is present in the company, the trade union delegation is able to fulfil the role of these two bodies. In the figure, we see a comparison between Belgium and European Union for the people with 'Establishment size : All' when asked 'Official structure of employee representation present at establishment'. For the 'Yes' answer, Belgium's score is higher than the European Union score. For the 'No' answer, Belgium's score is lower than the European Union score. The National comparisons visualisation presents a comparative overview for the values of all answers between two selected countries. The central concern of employment relations is the collective governance of work and employment. This section looks into collective bargaining in Belgium. The traditional system of collective bargaining in Belgium is entirely regulated by the act of 5 December 1968 on collective bargaining agreements and sectoral joint committees in which the right to organise and bargain collectively is recognised and protected. Wage bargaining is highly structured through three interlinked levels: the highest level with centralised cross-sectoral agreements covering the entire economy; an important intermediate level covering specific sectors; and company-level negotiations as a complement or substitute for the sector-level bargaining. In principle, lower-level agreements can only improve (from the employees’ perspective) what has been negotiated at a higher level. At sectoral level, there are 100 joint committees and 65 joint subcommittees deciding on pay levels, classification schemes, working time arrangements, training, etc. The sectoral collective agreement applies to all employers and employees covered by the joint committees or subcommittees concerned. As negotiations on this level give legal content following the agreements at the national cross-sector level, it is argued that the sector is still the most important bargaining level. Another reason is that for many non-wage items, this is the highest level of negotiation. Every company and employee is assigned to a sectoral joint committee. This is almost automatically done when the company applies for a social security number and the employee is registered within the company for the social security system. This traditional structure with sectoral joint committees as the central arena of bargaining and making collective agreements is today, however, framed in a set of centralised instruments of collective bargaining and especially wage bargaining coordination. a) Bi-annual social programming: At the national level, pay negotiations in the private sector take place every two years outside the official bipartite organisation and they result in national cross-sector agreements (NL: Interprofessioneel Akkoord – IPA; FR: Accord Interprofessionel - AIP). The bargaining group, called Group of Ten, consists of the key representatives of the national social partners recognised as such at the Central Economic Council and National Labour Council. b) Minimum wage: see below. c) Automatic wage indexation: pay and social security benefits are linked to a specific consumer price index. The link is intended to prevent the erosion of purchasing power by inflation. The system is a patchwork of sectoral level mechanisms agreed upon freely by the members of the joint committees (see Table 3). They differ in terms of timing, indexation system, calculation of the moving average of the index, rounding rules, target groups and other details. d) Wage norm: The state tries to balance the automatic indexing of wages and the sectoral level bargaining with a tight law on monitoring and intervention in the wage-setting system. The forecast weighted growth of foreign hourly labour costs (a weighted average for France, Germany, and the Netherlands) acts as an upper limit (termed the ‘wage norm’) for wage negotiations at all levels (macro, sector, and company). When the social partners not implement the wage norm by intersectoral agreement, the norm can be imposed by law. Otherwise the norm is indicative. Since the crisis, and especially since 2010, this system has been under pressure by on the one hand imposition through state intervention and on the other hand certain innovations and particular decentralisation tendencies. The institutional framework has, however, remained intact, although in 2017 a more strict wage norm legislation (law of 29 March 2017) was introduced. In the period 2010–2015, no new full intersectoral agreement was reached. The state intervened twice with a wage freeze (above indexation) for the period 2013–014 and a temporary suspension of the wage indexation (2015-2016). The wage norm was implemented by law and thus had a much more binding impact. At the start of 2017, the social partners nevertheless reached for the first time since 2010 a new intersectoral agreement ( IPA 2017-2018) which foresees among others a (bi-annual) wage increase of maximum 1.1% (above indexation). Partly due to the central wage freezing, collective bargaining at company level of a collective bonus system (regulated by national agreement no. 90 of the national labour council) expanded massively in this period. The negotiators also got more involved in discussions about industrial policy and about initiatives to stimulate active ageing. There is a large variation in negotiation levels on collective wage bargaining. Indeed, the cross-sectoral level is the most important for setting the wage norm. Within the framework defined at that level, lower levels are free to negotiate collective agreements on wages. The wage norm set at the cross-sectoral level nearly covers all employees in Belgium (96% in 2013) (Eurofound, 2014a). Every two years, a national-level cross-industry agreement is concluded between social partners. This agreement includes a package of provisions on wages, working time, training, etc. Moreover, social partners conclude national collective agreements on wages and working time within the National Labour Council. Within the framework designed by social partners at the national level, sectors are free to make arrangements on these issues at the sectoral level. The company level is less relevant to wages and working time issues, although some adjustments are possible. The national collective agreements concluded set a legal framework in which social partners at sectoral level are free to negotiate. In the same way, the sectoral collective agreements define the legal framework for the negotiation at the company level. In other words, collective agreements concluded at a level cannot be at variance with the collective agreements from a higher level. Collective cross-sectoral bargaining rounds (in the private sector) are organised every two years. If there is no agreement between social partners, the government can impose the wage norm. At the sectoral level, the bargaining rounds are more dispersed depending on cross-sectoral agreement, sectoral needs and economic situation. Nevertheless, a bi-annual programme of collective bargaining is the norm and is evidenced by the difference in agreed contracts between these two years (about 1,400 in the first year and about 450 in the second year). These 1,400 includes all translations of an agreement in relation to different topics into separate agreements (for example, related to early retirement, specific sectoral occupational benefits, sectoral training fund, etc.). Bargaining on public sector protocols is much more dispersed and is bound by the political situation. Wage bargaining coordination is marked by a very high level or vertical coordination from the national level to the company level (cf. bi-annual intersectoral programming and wage norm). There is no particular horizontal coordination mechanism between sectors, but as the bargaining is organised especially on the trade union side by a limited number of sector federations (which are nevertheless politically split), patterns can be detected. Efforts are made to coordinate bargaining in the retail and distribution, the social profit (health care) sectors, for example. In industry, bargaining in metal manufacturing is an important benchmark. The obligatory nature of a sectoral collective agreement can be extended by Royal Decree. In this case, the agreement will be binding for all employers covered by the bipartite structure within which the deal has been concluded, and contrary provisions cannot be made in individual employment contracts. This procedure is initiated on request by the sectoral joint committee or by an organisation represented in the committee, and is meanwhile a pervasive and common practice in the Belgian collective bargaining system. Opt-outs from collective agreements are very rare but not impossible. At company level, standards can only undercut sectorally-defined minimums or absolute standards if the sectoral agreement provides for this type of change. Only in a few sectors do these arrangements exist, but are only very rarely used. The key example has always been the metal industry. However, this does not mean that at company level wage flexibility can be arranged, as pay often includes more elements than only the basic wage. This ‘wage cushion’ is used in periods of economic shocks to a greater or lesser extent by Belgian firms and relates to variable pay, seniority arrangements, grading of functions and other benefits (for example, a company car). However, whatever the company deviations allowed by the sectoral agreement, the Interprofessional minimum wage has to be respected. Duration of collective agreements strongly depends on their content and each agreement contains provisions on its own validity. Social partners are free to define or not the duration of collective agreements in accordance with the issue, the relevance and the dynamic of negotiation at each level. The general rule is that agreements have an indefinite character, until one of the parties asks for an ‘ending’ (accompanied by a ‘warning’ period to settle the conflict). In general, it is accepted that the obligation of social peace is an inherent part of collective agreements and it is implicitly present in all of them. The peace clause means that the actors that signed the agreements (employers and employees) are prohibited from undertaking actions that contravene the content of the collective agreement throughout the period that it is in operation. Additionally the peace clause involves both an information and implementation obligation. Firstly, the contractors are obliged to inform their members about the content of the CAs they sign. Moreover, they have to ensure that their members comply with what has been included in the CA and follow its rules. The collective bargaining agenda differs from one sector to another. There have recently been a number of new topics in collective bargaining. These have included: the development of occupational pension schemes, in addition to the rather low legal pension scheme in the private sector; experimentation with ‘innovation- agreements’; and the opening up of funds for ‘sustainable work’. These new initiatives, but also the wage freezes, have contributed to a growing but ‘controlled’ number of company agreements, in addition to – and not instead of – sectoral or national initiatives. The continued wage moderation has consolidated an ongoing trend of granting additional wage benefits at company level in stronger sectors and larger companies. A key instrument has been the framework developed by the national Collective Agreement No. 90 of 20 December 2007 concerning non-recurrent result-related bonuses. A Belgian employer may grant a benefit to his/her employees in the form of a non-recurrent performance-related collective bonus, but only when a predetermined objective has been achieved. A plan determining this objective is confirmed either by a company collective agreement or by an act of accession approved by the sectoral joint committee. In a collective agreement, the target must be clearly defined, the objective concretely formulated, the monitoring methodology and target period stipulated, and the payment date agreed upon. There can be multiple objectives in a single plan. Examples of objectives include: achieving a specific sales or revenue growth; realising a specific project; obtaining an official quality standard certificate; and reducing absenteeism. Up to a certain amount, such bonuses are exempt from income tax and carry a reduced social tax. The number of employees receiving a bonus increased from 150,000 in 2008 to 600,000 in 2014 (figures from the Federal Public Service Employment, Labour and Social Dialogue – FODWASO). Strike actions are not explicitly recognised in Belgian law. However, the right to strike is recognised through the European social charter (article 6.4. covers the right to strike) and has been ratified by Belgium. A law of 1948 related to the continuity of public services in case of strike or lock-out also provides some regulation of this area. Legal precedent also plays a role: the ‘Court of Cassation’ has recognised the right to stop working because of strike. ‘Lock-out’ refers to the temporary closure of a company as a strategy in favour of employers’ demands. However, what constitutes a lock-out is not strictly defined in Belgian law and rarely happens. When a collective agreement has been reached, the signatories agree to respect the terms of the agreement and to respect social peace. Strike action is considered by trade unions when all other means to find a settlement have been exhausted. Notice has to be given before a strike takes place and the notice period must be respected. The most important types of strikes (even though not mentioned in the law as stated previously) are spontaneous strikes (spontane staking or grève spontanée) that happen following a sudden event or collective dispute within a company; and planned strikes ( geplande staking or grève planifiée) that have been agreed upon beforehand.2014 was a record year for strike action because of the general strikes in protest at government policy. *Only one source of data for working days lost (the employer can indicate in the monthly social security registration for an employee the days they have not worked because of strike/lock out and so were not paid). The social security administration publishes these statistics quarterly and yearly. However, the data do not include the staff of local and regional administration and other social security statuses (about 360,000 people). Conciliation is organised within the joint committees to prevent any conflict between employers and trade unions. A civil servant from the employment ministry is appointed as a social conciliator and has the duty to improve relationships between both parties. Individual labour disputes are resolved by a labour court composed of three judges (one legal judge, one judge chosen from the employers and one judge chosen from the workers). Before any trial the judge may propose conciliation or mediation procedures, or both parties may decide voluntarily to use alternative methods to settle the dispute. Conciliation takes place in the labour court, and mediation is carried out by an external person. For a long time, alternative dispute resolution procedures, though included in law, were not used to resolve individual conflicts about employment issues. In 2005, a new law re-organised alternative ways to resolve conflicts. Mediation and conciliation can now be used for individual labour conflicts as well as civil or family affairs. Conciliation: Here the third party who acts only as a facilitator by maintaining the two-way flow of information between the conflicting parties and encouraging a rapprochement between their antagonistic positions. This is where the third party listens to each side, usually in person, but it can be done by phone, and seeks to find an acceptable solution, which can be compensation or alternatively, measures taken in the workplace. The conciliator does not make a judgement or suggest a solution but works with the applicant and the employer to find an acceptable outcome. In some countries, the law requires that before the matter can be heard in a labour court or tribunal the applicant must use the services of a conciliator. If agreement is reached it would be normal for the case to be withdrawn from the tribunal and registered as ‘settled’. Mediation: This is where an impartial third party, the mediator, helps two or more people in dispute to attempt to reach an agreement. Mediation is based on the principle of collaborative problem-solving with the focus on the future and rebuilding relationships, rather then apportioning blame. Sometimes a mediator may suggest a possible solution to the conflict, as they do in collective labour disputes. Another type of mediation is where the mediator guides the parties toward finding their own solution by getting them to explore different and new ways of thinking and acting. This approach has its origins in family mediation, and arbitration: this is where the third party hears the case presented by each person and makes a ruling on the outcome. No statistics are available on this topic. Individual employment relations are the relationship between the individual worker and their employer. This relationship is shaped by legal regulation and by the outcomes of social partner negotiations over the terms and conditions governing the employment relationship. This section looks into the start and termination of the employment relationship and entitlements and obligations in Belgium. An employment contract requires: the consent of both parties and their agreement on the object of the contract, the wage and the nature of the work. The worker has to be 18 or the contract must be authorised by parents/custodians. The minimum working age is 15. Both parties are free to agree on the wage provided it is not less than the minimum wage fixed by sectoral collective agreements. The employment contract also has to respect the statutory working time. Open-ended contracts do not require a written contract, while fixed-term contracts require a written contract that specifies the date for the end of the contract. The collective agreement No. 38 of 6 December 1983 includes several requirements for the recruitment and selection of workers such as the absence of any discrimination and rules related to how private or confidential information may be handled. the contract can be terminated by both parties without notice and without grounds of major importance but on payment of a compensatory indemnity. During the first six months of sick leave. During pregnancy; protection against dismissal for pregnant women becomes valid as soon as the employer is informed about the pregnancy and until the end of the first month following the end of maternity leave; dismissals are authorised when the dismissal is motivated by other causes than the pregnancy. 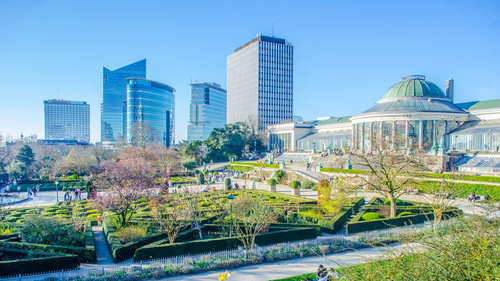 Belgian laws set out provisions for parental, maternity and paternity leave. Paternity leave remained unchanged and considerably less important than maternity leave. Maternity leave can begin a maximum six weeks before the birth of the child (this is the prenatal leave, which can be extended to eight weeks in case of multiple birth). Five of these six weeks are optional and can be carried over to the postnatal leave. Only the week before the expected birth date is regarded as mandatory leave. 15 weeks (prenatal leave recovery). This postnatal leave can be extended to 17 weeks in case of multiple birth. Other extension mechanisms exist for particular cases. During the maternity leave, the employee’s income is paid by the mutual fund. For the first 30 days, the amount is based on 82% of the gross salary with no threshold. Afterwards, the amount cannot exceed the threshold of 75% of the gross salary. In the public sector, the full salary is paid for the entire duration of maternity leave. Rijksinstituut voor zieke- en invaliditeitsverzekering - RIZIV ) is responsible for paying maternity leave allowance. In many cases, mutual funds play an intermediary role in the payment of maternity leave allowance. Parental leave is a temporary reduction of working time by a fifth, a half, or to completely stop working for four months before the child is 12 years old (21 for disabled childs). Maximum duration Paternity leave is 10 days during the first four months after the birth. All workers or unemployed people, no matter what their age, who are temporarily sick or disabled, have the right to receive sickness benefits or disability benefits. The amount of sickness benefits varies according to usual wage, the length of sickness and whether the employee has any dependants. For self-employed people, this is a fixed amount. The level of benefits payable is different for blue-collar workers, white-collar workers and unemployed people. For blue-collar workers, the first fourteen days are paid by the employer (at their salary level). From the 15th day, the mutual insurance system takes charge of the sickness benefits. For white-collar workers, the employer pays the first month of sickness benefits (based on their regular salary). After a month, the mutual fund takes over the payment of the benefits. Finally, unemployed people receive an amount of sickness benefits equal to the unemployment benefits they usually receive. From the second month to the sixth month, blue and white-collar workers receive 60% of their usual wage up to a maximum of €2,052.96 per month. From the seventh to the 12th month, the distribution of sickness benefits depends on the type of work contract as well as the familial situation. The table below shows the minimum sickness benefits. In Belgium, the legal retirement age is 65 with exceptions for miners, sailors or pilots (55 or 60 depending on the degree of arduousness and the number of years worked). Also, many provisions set early retirement minimum ages that depend on how many years someone has worked. There is no gender difference. Nevertheless, through the governmental agreement (2014), the government plans to extend the legal retirement age to 67 years in the future. Pay: For workers, the reward for work and main source of income; for employers, a cost of production and focus of bargaining and legislation. This section looks into minimum wage setting in Belgium and guides the reader to further material on collective wage bargaining. In Belgium, a minimum wage (Gewaarborgd Gemiddeld Minimum Maand Inkomen-GGMMI / Revenu Minimum Mensuel Garanti-RMMG / Guaranteed Average Minimum Monthly Income) is set by collective agreement negotiated at the Conseil National du Travail (CNE-NAR). The GGMMI follows the general rise in cost of living and is index-linked. Since 1 June 2017, the GGMMI has been €1,562.59. Sectoral collective agreements can set the minimum wage at a higher level. GGMMI are as follows: at the age of 22 and 12 months seniority: 104% of the GGMMI. In Belgium, a lower minimum wage rate applies to workers younger than 18 years. 17 year-olds have a minimum wage of 76% and 16 year-olds of 70% of standard minimum wage. In addition, reductions also apply for young people with a student contract (i.e. not full participants in the labour market). On the other hand, people of 19 years with six months’ seniority have a higher minimum wage (€1604,06), as well as people of 20 years with 12 months’ seniority (€1622,48). Working time: ‘Any period during which the worker is working, at the employer’s disposal and carrying out his activities or duties, in accordance with national laws and/or practice’ (Directive 2003/88/EC). This section briefly summarises regulation and issues regarding working time, overtime, part-time work as well as working time flexibility in Belgium. The law of 16 March 1971 and its amendments comprise the legal framework defining the limits of working time in Belgium. Starting from these regulations, sectors and companies are the most relevant levels where collective agreements related to working time are concluded. Working time standards are sometimes argued at the cross- sectoral level, in the National Labour Council. However, no agreement was concluded at such a level. Finally, individual bargaining on working time issues is rare. The determination of working time standards in Belgium works as a domino system, where levels of bargaining have to consider the regulations and agreements applicable at the higher levels before negotiating. In general, it can be concluded that a lot of flexibility and derogation of the standard regulations are possible (linked to sectors, occupations) and after consultation and/or negotiations with the trade union representation. Overtime work entitles the worker to extra compensation of 50% during weekdays and 100% on Sundays and public holidays. However, most sectors are divided into several joint committees, and sometimes between blue and white-collar workers and/or regions. Therefore compensation can vary widely from one company to another and, in some cases, overtime is compensated by time off rather than enhanced pay. Working time standards are set by the law of 16th March 1971. Maximum working hours are 8 hours a day and 38 hours a week for full-time equivalent workers. However, in many cases, the weekly working time is 40 hours and the two additional hours are calculated as part of annual working time. These limits are different for part-time workers or workers who receive reductions of working time such as credit-time schemes. The Belgian law allows two major dispensations of these limits, for structural reasons or to meet temporary and unpredictable needs. Most of these dispensations are defined at the sectoral and/or the company level. In Belgium, part-time work is defined as normal working hours, calculated on a weekly basis or on average over a reference period which is less than full-time work in a comparable situation. Several laws (23 July 1981, 22 December 1989 – articles 152 to 187 – and 5 March 2002) and royal decrees (12 August 1981, 21 September 1981, 18 June 1990, 25 June 1990, 21 December 1992) set the rules and provisions for part-time work. Within the legal framework, sectoral and/or company collective agreements and/or individual contracts define the rules and provisions of part-time work (work schedules, overtime compensation, etc.). Generally, the rights of part-time workers are similar to those of full-time workers, but they are based on the number of working hours in comparison with full-time work. The number of part-time workers in Belgium remained quite stable between 2012 (24.5%) and 2017 (24.2%), with a slight decrease for women and a slight increase for men in the last five years. It also appears that the percentage of women working part time is about 10% higher than the European average. For the first time in 2016, more women were working in a 4/5 schedule than were working half time. The percentage of persons employed in involuntary part-time work in Belgium was three times lower than the EU average in 2012 and has been declining over the years, reaching 7.8% of total employment, nearly four times lower than the EU average for the same period (27.1). In 2017 in Belgium, the percentage of women in this category was less than half of men and considerably lower than the EU average. In principle, night work (between 20.00 and 6.00) is prohibited in Belgium. However, the law provides for a certain amount of derogations depending on the sector of the activity, certain specific tasks and certain specific workers (e.g. in hotels, restaurants, hospitals, but also for specific workers such as sale clerks in petrol stations). This only applies to workers over the age of 18. Night workers are entitled to a bonus whose amount and modalities are set by collective bargaining. Shift work as itself is not regulated by Belgian law. However, an important limitation is the fact that a worker may not work more than 8 hours per day and 40 hours per week. This can be bypassed by way of derogation. Work is forbidden on Sundays. However, the law provides for a certain amount of derogations depending on the sector or the activity. Four cases exist: 1) specific tasks that must be executed on Sundays (e.g. cleaning, restoration work); 2) for certain firms (e.g. entertainment firms, hospitals, troubleshooting); 3) specific measures concerning retail stores; and 4) specific measures for successive shifts. Workers are entitled to at least 11 hours of rest for each period of 24 hours. This obligation is combined with the prohibition of Sunday work and night work. However, the law provides for a certain amount of derogations such as force majeure or for sectors with fractional activity such as restaurants. The Law of 16 March 1971 and its amendments is the main legal framework defining limits of working time in Belgium. Starting from these regulations, sectors and companies are the most relevant levels where collective agreements related to working time flexibility are concluded. Belgian social partners are strongly involved in negotiations affecting working time flexibility. As observed by Valenduc and Vendramin (2013), collective agreements often precede the legislative developments that aim to formalise them at the national level. This was particularly the case when the Law of 1 January 2003, based on the work-life balance regulation, was published. Its aim was to reduce weekly working time from 40 hours to 38 hours per week. However, this was already applicable in many sectors. In addition, the Labour Act of 29 March 2012 allows the daily eight-hour working time limit to be exceeded in response to extraordinary workload. Despite pressures from the European level, social partners did not reach any major agreements on flexicurity. This remains a major issue for the future. As a result, fixed working hours remain more important than flexible working hours. Nevertheless, over the past decade, a whole range of laws and collective agreements have attempted to reconcile and shorten individual working hours and lengthen total operating time for companies. In the figure, we see a comparison between Belgium and European Union for the workers with 'Age: All' when asked 'Do you have fixed starting and finishing times in your work?'. For the 'No' answer, Belgium's score is higher than the European Union score. For the 'Yes' answer, Belgium's score is lower than the European Union score. Data is based on question 39d from the sixth European Working Conditions Survey (2015).The National comparisons visualisation presents a comparative overview for the values of all answers between two selected countries. Maintaining health and well-being should be high-priority for workers and employers alike. Health is an asset closely associated with a person’s quality of life and longevity, as well as their ability to work. A healthy economy depends on a healthy workforce; organisations lose productivity through ill-health of their workers. This section looks into psychosocial risks and health and safety in Belgium. Statistics about work-related accidents and work-related diseases can be found at the Funds for work-related accidents (Het Fonds voor arbeidsongevallen/Le fonds des accidents du travail) and the Funds for work-related diseases. The table below shows a steady decrease in the number of accidents at work since 2008. The Well-being law of 28 February 2014 supplements the Well-being law of 4 August 1996 on the well-being of employees, addressing in particular issues of violence, harassment and sexual harassment at work. The Law of 28 March 2014 amends the Judicial Code, and the Royal Decree of 10 April 2014 covers the prevention of psychosocial risks at work. The new legislation is the basis of the current Belgian regulation in the field of health and safety at the workplace and of well-being at work. The concept of a ‘psychosocial risk at work’ is defined as the probability of one or more workers being at risk of or exposed to some aspect of environment or behaviour that creates an objective danger over which the employer has some control. These aspects include: psychological hazards and/or physical injuries; an element of work organisation (management style, collaboration, procedures, structure, allocation of tasks); an element of work content (nature of work, complexity, hardness and variation of tasks, emotional and mental charge); working and living conditions at the workplace (evaluation procedures, career management, types of contracts, training plans, workplace facilities, environmental factors, substances used, ergonomic factors), or interpersonal relationships at work (communication, colleagues, intergroup relationships). This definition also covers sexual harassment, violence at the workplace and psychological harassment. The new definition leads to better identification and reinforcement of stakeholders’ roles in the prevention of risks at work. These stakeholders include the employer, line managers, the workplace prevention and protection committee, technical experts in psychosocial prevention, and the ‘trustworthy person’ (personne de confiance). The status of the ‘trustworthy person’ in particular has been developed through the new laws. For instance, the presence of such a person in the company is not compulsory but it is strongly recommended by public authorities. It could be a worker in the firm (such as the internal health and safety adviser) or someone from the external service for prevention and protection at work (part of the Belgian Federal Public Service Employment, Labour and Social Dialogue). Moreover, this law outlines several provisions at both collective and individual levels to protect victims against reprisals so that they are not discouraged from reporting psychosocial injuries. The law foresees also at different stages the involvement of employee representations (mainly the health and safety committees). See also national collective agreement No. 72 of 30 March 1999. In the figure, we see a comparison between Belgium and European Union for the workers with 'Age : All' when asked 'Do you have enough time to get the job done?'. For the 'Always or most of the time' answer, Belgium's score is higher than the European Union score. For the 'Rarely or never' answer, Belgium's score is lower than the European Union score. For the 'Sometimes' answer, Belgium's score is lower than the European Union score. Data is based on question 61g from the sixth European Working Conditions Survey (2015).The National comparisons visualisation presents a comparative overview for the values of all answers between two selected countries. Skills are the passport to employment; the better skilled an individual, the more employable they are. Good skills also tend to secure better-quality jobs and better earnings. This section briefly summarises the Belgian system for ensuring skills and employability and looks into the extent of training. In Belgium, adult education was regionalised during the institutional reform of the State. The regions were given economical competences and the Communities received competencies linked to the language of the citizen (such as education and culture). As a consequence, vocational training as a tool to foster employment depends on the three regions (Brussels, Flanders and Wallonia) while initial training depends on the three linguistic communities (Dutch, French and German-speaking). Moreover, the social partners at all levels (cross-industry, sectors, companies) play a prominent role in devising, organising and managing the Belgian CVT system. collaborate with the social partners. Interprofessional and sectoral levels are the most important bargaining levels for vocational issues. However, these issues also concern the companies and the training plans are generally discussed at the company level within the works council. the German-Speaking Community Employment Office (Arbeitsamt der Deutschsprächige Gemeinschaft, ADG) for the German-Speaking Community. In small and medium sized companies, employee representation seems to have a light impact on the proportion of employees receiving paid time off for training. On the other hand, in companies employing more than 250 employees, employee representation at establishment does not coincide with higher degrees of training. In the figure, we see a comparison between Belgium and European Union for the workers with 'Age : All' when asked 'Have you had on-the-job training in the last 12 months?'. For the 'No' answer, Belgium's score is lower than the European Union score. For the 'Yes' answer, Belgium's score is higher than the European Union score. Data is based on question 65c from the sixth European Working Conditions Survey (2015).The National comparisons visualisation presents a comparative overview for the values of all answers between two selected countries. Work organisation underpins economic and business development and has important consequences for productivity, innovation and working conditions. Eurofound research finds that some types of work organisation are associated with a better quality of work and employment. Therefore, developing or introducing different forms of work organisation are of particular interest because of the expected effect on productivity, efficiency and competitiveness of companies, as well as on workers’ working conditions. Ongoing research by Eurofound, based on EurWORK, the European Working Conditions Survey and the European Company Survey, monitors developments in work organisation. For Belgium the European Company Survey 2013 shows that between 2010 and 2013, 39.1% of establishments with 10 or more employees reported changes in the use of technology, 38.6% introduced changes in ways to coordinate and allocate the work to workers and another 19.3% saw changes in their working time arrangements. The Louvain School of Management (UCL) and SDWorx conducted a study among 481 companies located in Belgium with the aim to understand how companies manage sustainable innovative workplace practices. The results show to what extent the following practices are implemented in companies: teleworking practices (51.8%), knowledge management (57%), flexible desks (41.4%), open-space (57.8%), virtual teams (21.4%), participative management (45.7%), (semi-) autonomous teams (47.2%), management by objectives (59.9%). Figures also show that employees are a bit involved in the implementation of such practices (43% on average). (Taskin and Ajzen, 2015). A recent study (see chapter 3, in Dutch and French) based on the EWCS 2015 identifies six job types in Belgium. The first job type is saturated work: it includes high autonomy, teamwork and complex tasks. On the downside, this type of work is very demanding and implies high flexibility. The second job type is balanced work. It resembles saturated work, but with lesser incentive to flexibility. The third job type is supervised work. Many part-time workers with low wages are concerned by this work organisation. The positive sides are a good working environment and teamwork. The fourth job type is called ‘work with low supervision and development opportunities’. The fifth job type is ‘highly repetitive and flexible work’. In this case, workers do complex and repetitive tasks, are well paid and have many training opportunities, but are also highly emotionally engaged and must be very flexible. The last job type is low quality work. In the figure, we see a comparison between Belgium and European Union for the workers with 'Age : All' when asked 'Are you able to choose or change your methods of work?'. For the 'No' answer, Belgium's score is lower than the European Union score. For the 'Yes' answer, Belgium's score is higher than the European Union score. Data is based on question 54b from the sixth European Working Conditions Survey (2015).The National comparisons visualisation presents a comparative overview for the values of all answers between two selected countries. Law of 10 May 2007 preventing discrimination. The law prohibits any discrimination because of age, sexual orientation, civil status, religion, health, handicap, social origin and so on, and includes some specific rules related to discrimination at work. Law of 10 May 2007 preventing discrimination between men and women. The collective agreement No. 38 of 6 December 1983 includes several requirements in terms of recruitment and selection of workers and relates specifically to discrimination at work. Workers can contact the social inspectorate: the case will be resolved through conciliation or in the labour court. Moreover, the Institute for the equality of men and women and the Interfederal centre for equal opportunities can bring help to discrimination victims (mediation, lodge a complaint). The Law of 12 July 2013 which revised the Law of 22 April 2012) aims to fight the pay gap between men and women. This law includes binding measures for the social partners and the companies: the report of the Central Economic Council (CCE/CRB) will have to include data about the gender pay gap. This information will be available to the social partners when they are about to negotiate wages in the framework of the interprofessional agreement (IPA). At sectoral level, the joint committees are now obliged to negotiate measures to address the gender pay gap and to take account of gender-neutral measures in job-grading systems. Companies are now obliged to transmit their report about their wage structure to the works council. In Belgium, the unadjusted gender pay gap has remained constant in recent decades. It will be interesting in the future to look at the impacts of the new law. The last major national study related to the gender pay gap was published in 2015 by the Institute for the Equality between men and women . Since 2013, at least one-third of managers in federal public services must be women (Royal Decree 2 June 2012). The law of 28 July 2011 obliges company boards of publicly listed companies to ensure that 30% of their members are women. Amine, Z.A., Evangelista, K.F., Maron, L. and Simeu, N. (2012), Gender and income analysis and development of indicators, Institute for the Equality of Women and Men, Brussels. Eurofound (2013), Social partners’ involvement in pension reform in the EU: Belgium, Dublin. Eurofound (2014a), Annual Update on Pay 2013, Dublin. Eurofound (2014c), Industrial relations profile: Belgium, Dublin. 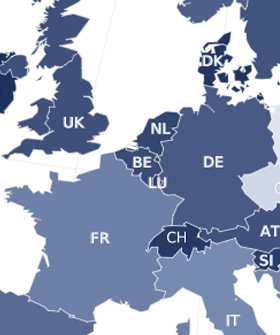 Eurofound (2014d), Preventing psychosocial risks at work: Belgium, Dublin. Eurofound (2014e), Representativeness of the European social partner organisations in the cross-industry social dialogue: Belgium, Dublin. KUL (2016), Jobkwaliteit in België in 2015: Analyse aan de hand van ECWS (2015): Belgium, Leuven. Léonard E. and Ajzen M. (2015), Belgian contribution to the comparative analytical report, Developments in collective bargaining and social dialogue into the 21st century (in process). Taskin, L. and Ajzen M. (2015), Managing sustainable and innovative workplaces: New ways of working, towards sustainable organizational performance?, Working Paper 2015/13, Louvain School of Management Research Institute,140 p.
Valenduc, G. and Vendramin P. (2013), La réduction du temps de travail, Courrier hebdomadaire du CRISP, No. 2191–2192, CRISP, Brussels. Vandaele, K. and Hooghe, M. (2013), ‘L’appel de la voie communautaire: Syndicats, organisations patronales et nouveaux mouvements sociaux dans une Belgique redimensionnée’, in Dandoy, R. et al. (eds. ), Le Fédéralisme belge, L’Harmattan, Louvain-la-neuve.